like Axis Bank, Yes Bank etc. At Max Life Insurance, we understand how important it is to stay protected against the uncertainties of life. And we believe it is our responsibility to offer you the best support in every possible manner in your hour of need. From the policyholder’s perspective, a life insurance ‘company’ must have a robust and streamlined claim settlement process in place. The sole purpose of a life insurance policy, especially term insurance is to provide financial support to the family in case of a mishap. Hence it is important that in case of an unfortunate event, your loved ones not just have the assurance of receiving the claim amount, but they also need to get it fast. In addition to the speed, the entire experience from the stage of applying for the claim to its payment should be convenient, simple and most of all transparent. Therefore, you must consider Claim Settlement Ratio and the claims experience of a life insurance company before making a decision to choose term insurance. 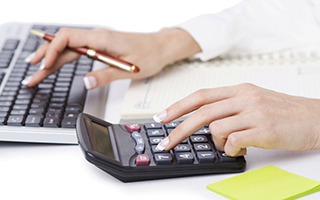 Claims Settlement Ratio or Claims Paid Ratio of a company, how is it calculated? The Claim Settlement Ratio or Claims Paid Ratio of a life insurance company is an indicator of trustworthiness in claims settlement. It tells you about the number of claims paid by an insurance company compared to the number of claims received by the company in the same year. Claim amount on all eligible policies is less than INR 50 lakhs. Claims for policies completed three continuous years. Endeavour to pay Fund value for death claims on all Unit Linked policies within 48 hours (in working days) from claim intimation. The claim centre on the website crisply offers all necessary information. Your nominee can either download the claim from the website’s claim section or walk into the nearest branch office. 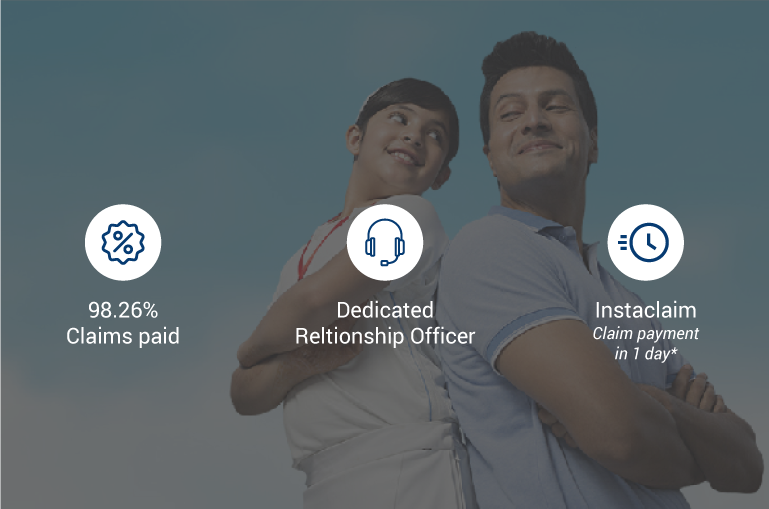 Max Life Insurance appoints a personalised service in the form of a dedicated Claims Relationship Officer on the next working day of claim submission. It is especially useful in the case of the settlement of a death claim to avail death benefit, where every possible help is provided to the nominee to recieve insurance money in time. With around-the-clock customer support services, Max Life Insurance provides speedy resolution to queries and complaints. It aims to maintain one of the lowest customer incidences throughout the industry. 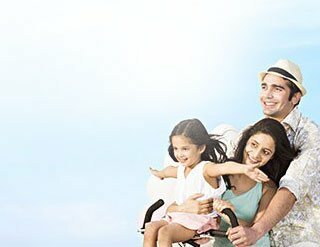 How to Compare Claims Ratio While Choosing Life Insurance? When you buy life insurance, you make a promise to your loved ones to protect them financially, even when you are not around. Having Life insurance will allow your loved ones to maintain their lifestyle, should anything happen to you. And Claim is the commitment that life insurance company makes to honour your promise to your loved ones. An Insurance plan becomes all the more critical if you are the sole breadwinner for your family. However, the sheer number of life insurance plans available in the market is enough to confuse you on which policy to buy. While it is crucial that you be very clear about your financial objectives before buying an insurance policy, you must also factor in your current income along with the present and future liabilities. Once you’ve done that, you will be sure about which policy best suits your needs and how much you can afford to pay as premium. Buying a policy that offers the cheapest insurance premium amount isn’t always the best approach. You must thoroughly assess the claims paid record of the insurer too. Otherwise, even if you purchase the most affordable insurance plan and your dependents experience inconvenience at the time of claim payment, it defeats the whole purpose of insurance. You must compare the claims payment process of an insurance company along with other factors such as Turn Around Time, Average value of Claim and the presence of a dedicated Claim Relationship Officer before purchasing life insurance. Here’s why. 1. Claims Paid Ratio: It is the number of approved/ paid claims divided by the total number of claims received. The Insurance Development Regulatory Authority of India (IRDAI) publishes data on Claim Paid Ratio of various insurance companies from time to time. 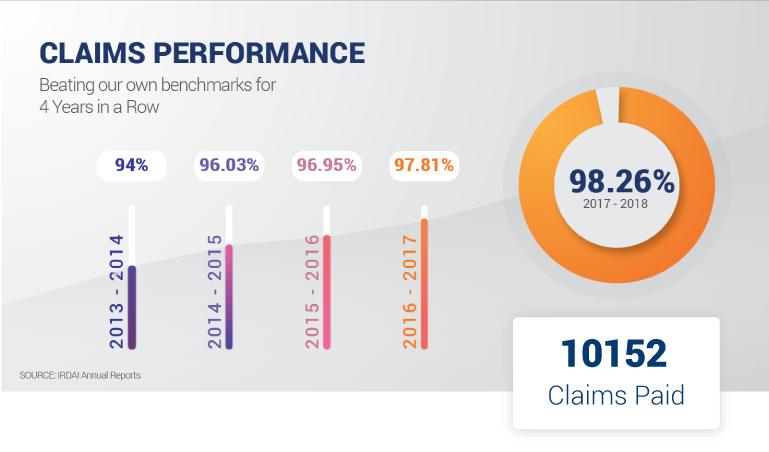 Max Life Insurance has a claim Paid ratio of 98.26% for the year FY17-18 as per IRDAI Annual Report. 2. Turnaround Time (TAT): It is the time taken by an insurer to process a death claim. 4. Personalised Claims Relationship Officer: Personalised Claims Relationship Officers are appointed by insurance companies to facilitate the claim settlement process of life insurance plans.These officers assist the nominee throughout the claim’s settlement process taking care of the documentation and procedures to ensure the claim money is smoothly and timely withdrawn by the nominee. How can you apply for claims? You can register a claim with the Max Life Insurance through the following touch points. To help us process your claims faster, make sure that you submit the required documents along with the claim. Death Claims: These are claims pertaining to life insurance policies that offer payout on the death of the policyholder. > Nominee's photo identity proof such as a copy of Passport, PAN card, Voter identity card, Aadhar (UID) card, etc. We request you to submit the following documents to register a health claim. Group Claims: These are claims pertaining to life insurance policies offered by organisations/institutions to their employees or group members. We request you to submit the following documents to register a group claim under the following categories. Where can I get claim forms and list of documents required for submission? Why is it essential to submit all the records/documents as required by the company? All claims are examined and settled by the company by information present in documents submitted by you in connection with the claim. It is advisable to provide complete information to us for faster and smoother claims processing. What is the time frame within which the claim mustbe reported to the company? It is advisable to intimate the claim at the earliest after death has happened. In case of Dread Disease and Critical Illness claims, claim should be intimated only after the end of survival period (after 28/30 days of event occurrence). When does the company decline a claim? In case of Employer-Employee & Non-lender borrower schemes, nominee, as stated in the Provident fund nomination form or registered at the time of coverage commencement,is entitled to policy benefits. In case of Lender-Borrower schemes, outstanding loan amount in favour of the master policyholder and balance claim in favour of the nominee is registered at the time of coverage commencement. Who is entitled to receive the claim benefit in case of Group policies? In case of Employer-Employee & Non-lender borrower schemes, nominee, as stated in the Provident fund nomination form or registered at the time of coverage commencement, is entitled to policy benefits. What are the documents required to file a claim with the company? > Death claim, please click here. > Hospitalisation claim, please click here. > Group claim, please click here. What are the exclusions under the rider benefits? In case the dreaded disease/surgery occurs within a waiting period (90 to 180 days) of the policy issuance, depending upon the contract terms and condition*. If the condition/surgery is not covered under the policy terms and conditions*. Accidental injury, which occurs due to self-inflicted injury. In case, the life assured commits suicide within one year of the policy issuance. In case, the life assured is involved in any unlawful activity resulting in injury. In cases where the injury occurred is not as per the policy terms and conditions*.